Do you want to know why Punjabi’s are mad about going abroad? Do you think NRIs live a lavish life and swim in dollars and pounds? Just board a flight to the west and your life is all set? Wait. Just go and watch Mahi NRI, the latest Punjabi romantic drama depicting the hardships and reality of being NRI. Yuvraj Singh Sidhu Aka Oye Hoye Sharry Singh (Hardy Sandhu) is a struggling singer/rapper who is madly in love with Reet (Poppy Jabbal) also a singer and daughter of Harry’s part time music master and a full time bank employee Joginder Singh (BN Sharma). Joginder is ready to marry her loving daughter to Sharry, but his wife Amrit (Navniit Nishan) is a typical stubborn desi Bebe (mother), who want an NRI’s groom for her much talented daughter. One fine day Amrit gets a proposal from an NRI and she is all set to send Reet aboard against the wish of her henpecked husband and helpless daughter. Now the ball is in Sharry’s court, if he wants to get Reet, he has to get NRI status as soon as possible. Does Sharry become an NRI and get her bride? For this you have to watch Mahi NRI. Premise of Mahi NRI revolves around how Sharry goes through enormous hardships to be an NRI to win his love. Story seems too much predictable and simple, but don’t underestimate this less hyped, much authentic Punjabi romantic drama; it has enough twists and turns to keep you glued to the screen. Though in a few places, screenplay might seem lingered, but it gives you a lot of insights with fine details about the struggle of youngsters going abroad for a better life. After such a long time Punjabi cinema produced a balanced film with the right mix of entertainment and reality. It throws light on fraudulent travel agents, miserable life of illegal immigrants and youngsters went on student visas, gimmickry of fake educational institutes and fake marriages, all close to reality. But that does not mean everything is shoddy and wrong out there. 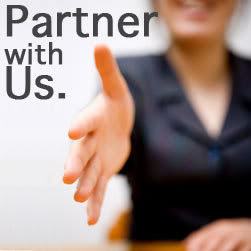 There are few people who are having tough times in their life, but they are ready to help the needy ones. All the brownie points go to story writer Gaurav Bavdankar and screenplay writer Mohinder Partap Singh. Another important ingredient which makes Mahi NRI more real is its characters. The lead protagonist Harry is not a demigod. He is a simple man of flesh and bones who makes mistakes. He is not a winner at all the times, but he put best efforts to turn his dream into reality. And the supporting characters of Pammi (Gurpreet Ghuggi), Chokolingam (Anjum Batra) and Ahmed Ali Beaug (Ranjan Sehgal) take the narrative to another level. I think for the first time in a Punjabi film a father is not mere a cardboard character, but is a real father who is in the favor of his daughter’s choice and goes far away to fulfill her dream, which was his own dream once. For the first time in a film girl’s father is not an antagonist. Another first is Sharry’s mother, who prefers her son’s ambitions over her property and personal whims. Director Gaurav Bavdankar deserves a real applause for this. Dialogues, written by Amitosh Nagpal and Mohinder Partap Singh need a special mention too. Dialogues like ‘Ethey lokan nu Gawwayiya ni, Ruppayiya Chahidai’ (Here, people need money, not singers) is the essence of the story. And the way he uses a couplet written by living legend, Punjabi poet Surjit Patar ‘Pind Jinha De Gaddey Challde Hukam atey Sardaari, Shehar Ch Aa Ke Ban Jande ne Bus di Ik Sawari’ (In villages, they are owner of bull carts; their words are rule of land and they are landlords themselves, In cities, they become just a passenger of local bus.) depicts the reality about the life abroad. One more credit to Bavdankar for underplaying the songs in the narrative, else over two hours long run time would have been stretched a lot more. Though the songs are appropriate and almost at right place. Singer turned actor Hardy Sandhu has already done a film Yaaran Da Katchup and Bavdakar reintroduces him in and as Mahi NRI. First seemed a hasty affair, but this time Hardy has worked hard upon himself. Breaking his chocolaty up market romantic singer image he comes down to a character of the simple village lad with grown up beard who is struggling to get his share of luck. He got into the skin of the character and portrayed almost each emotion with ease and finesse. He still needs to work hard on his body language, but carries the character naturally and confidently. London returned debutante diva Poppy Jabbal also looks promising and is very much into the character. Hardy Sandhu looks much younger than her, but still both carry a sizzling chemistry on screen. She pulls romance and emotions equally well. The real discovery is Anjun Batra, who plays a funny south Indian in Birmingham. He is innocently witty and funny at the same time. Ramneet Kaur playing Mandy is another discovery for Punjabi cinema. She looks bold, beautiful and quite natural. Ghuggi is once again excellent. Navniit Nishan’s come back is refreshing; you will love to hate her. Now, BN Sharma is trying to break his caricature image and graduating to some serious meaty characters. All the supporting cast is apt. 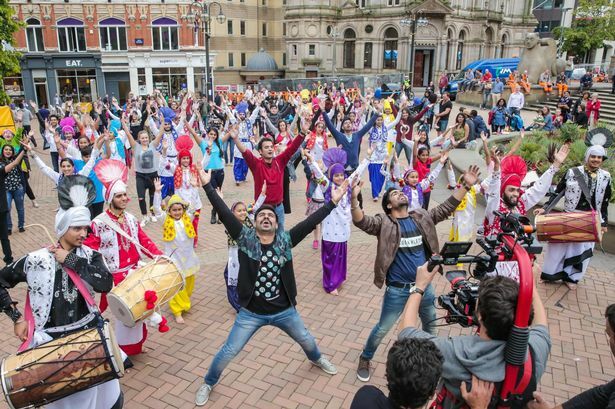 Cinematography by Andrei Goaga is commendable; he captures Birmingham and Punjab lively. Editing by Vinod Pathak and Sanjay Sharma, could have been crispier. At some places dialogues are out of sync and there are few continuity jumps too. Overall Bavdankar has a nice ensemble of cast, a well written story and appropriate execution. Mahi NRI truly deserves three and a half stars and a big pat on back on the team of the writers for such a bright film. Deep Jagdeep Singh is a freelance journalist, Screenwriter and a Lyricist.